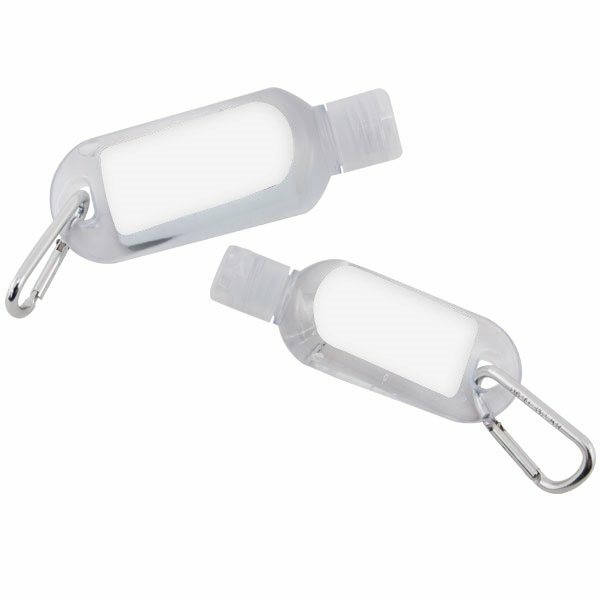 2 oz hand sanitizer with carabineer. The colored logo and design are right in line with our overall branding goals. Nice, simple, loving the colors and the finishing. Perfect affordable freebie. The price and nice job on the logo made this a good product for our sponsors and participants. Clients love them. Nice looking. Prices were great. Best deal that we had sought out for this product. We will be reprinting many more of this product in the future.